Behind The Thrills | Thrill Weekly Poll-Vote for the 2014 Waterpark of the Year! Thrill Weekly Poll-Vote for the 2014 Waterpark of the Year! Happy Holidays everyone! We hope you had an amazing Thanksgiving! We return this week with another huge poll, and while the weather outside may be frightful for many in the North, waterparks are delightful, especially in the heat of the summer. Waterparks are an integral part to the amusement industry, and to Summer overall. Many theme parks have added waterparks either as an add-on ticket, or have included them in the daily admission price, because a waterpark offers a great deal more excitement and activities to any Summer day. Waterparks have also come a long way from just a collection of slides, flumes and mats. Today’s waterparks are filled with just as many, if not more innovations as your regular theme park. 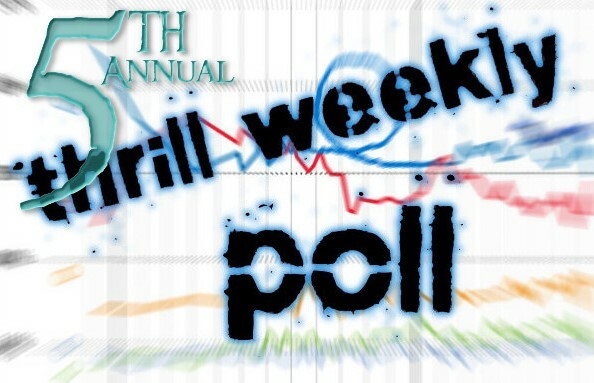 So, please vote for your favorite waterpark in this week’s Thrill Weekly Polls! There are tons of waterparks out there. Some are closed for the winter, others are going full blast all year round. What makes a waterpark the best? Is it the number of slides, the different types of slides, or maybe just the way that a park handles crowds and guests? Whatever you think it is that makes your favorite waterpark the best, be sure to vote for it! Congratulations to all of the nominees! We recommend that all nominated parks and fans share on Twitter, Facebook and other Social Media outlets. This poll will determine the Waterpark of the Year in our annual “Thrill Weekly Awards” which are to be announced January 5th, 2015! The poll will be open until 11:59 p.m. EST on December 7th, 2014.